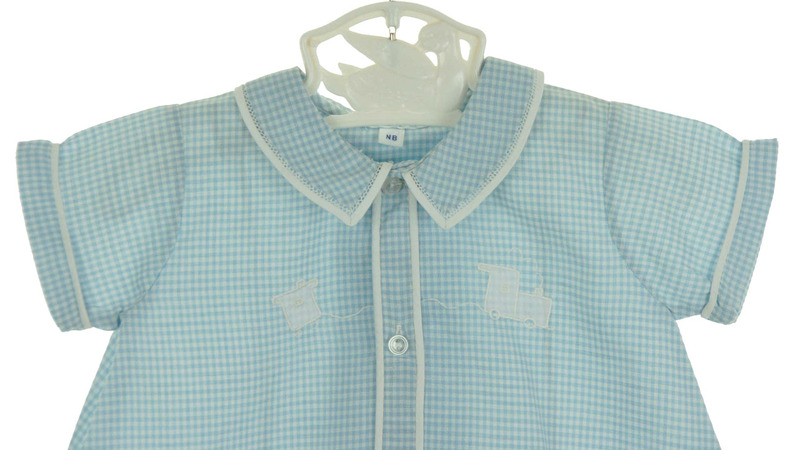 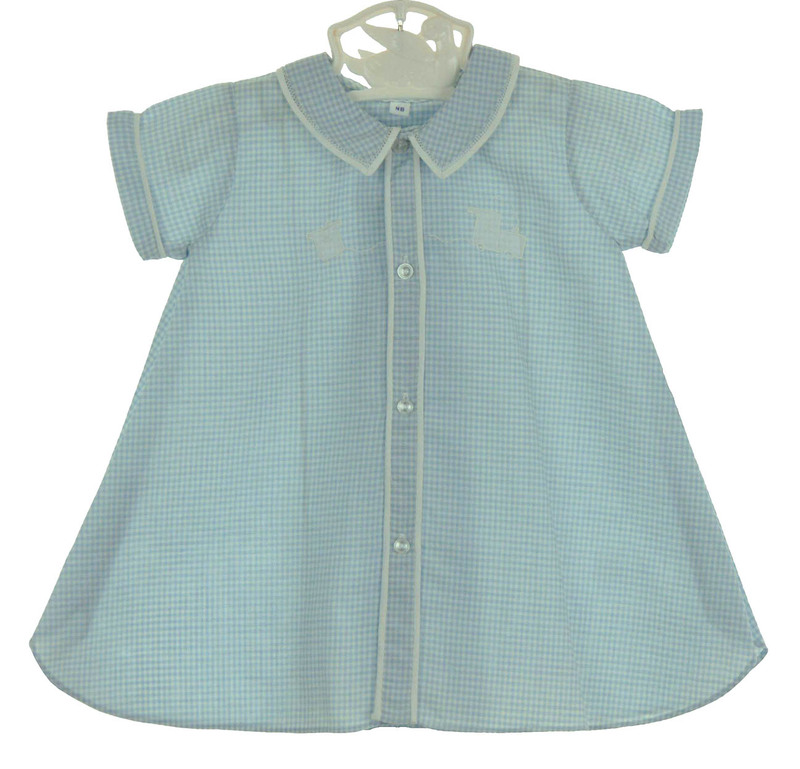 This darling little blue checked baby gown was hand embroidered in the Philippines. 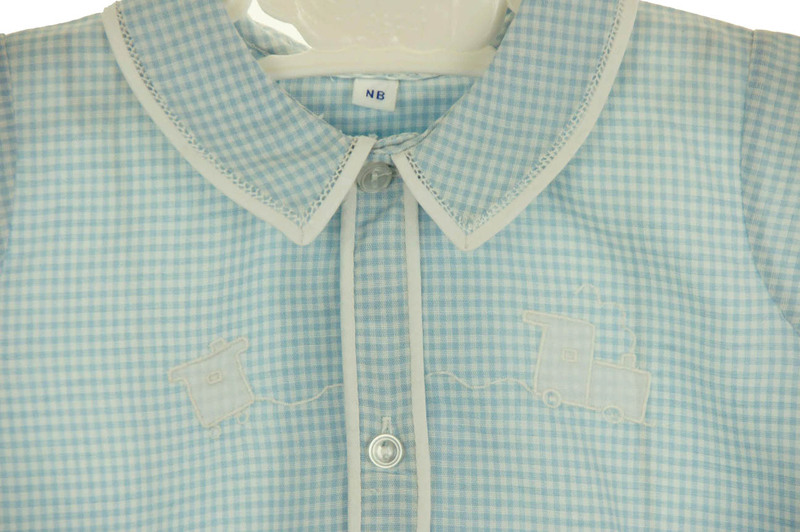 It features a embroidered white trains on the chest, with a front placket, Peter Pan collar, and short cuffed sleeves trimmed with white piping. 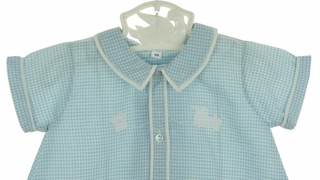 The long gown buttons down the front.